More and more highly credible environmentalists are arguing the case for nuclear energy. The case was already strong, and the flood of new high-profile advocates doesn’t in itself make it any stronger. Where the flood of advocates does help us is in giving us more and more great writers and speakers to choose from. 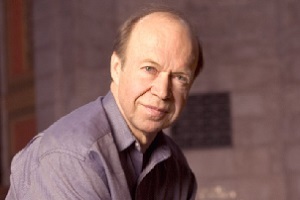 One of these, the renowned climate scientist James Hansen, will speak at the CNA Conference on February 26. Amid the crush of conference preparation, I made time to skim the work of another of these very strong new advocates. 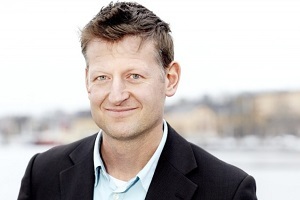 He is Colorado State University’s Michael H. Fox, whose book Why We Need Nuclear Power: The Environmental Case was recently published by Oxford University Press. If you want to strengthen your own knowledge with a compact, solid primer on a raft of timely topics – including atmospheric science, the climate controversy, fossil fuels, alternative energy sources, nuclear technology, radiation and energy safety – it’s for you. Fox is genuine, honest, direct and comprehensive, and a very good writer, so I’ll excerpt a few of his own words to get you started. [U.S.] States with regulated rates set by public utility commissions are far more likely to build more nuclear…the energy crisis in California in 2000-2001…was an object lesson in how not to deregulate markets. Regulated states [provide] a climate in which the long-term costs of nuclear power plants can be amortized, resulting in low, stable rates. Since new nuclear power plants are designed for a 60-year lifetime, they will provide cheap electricity in future years, just as current reactors that were built 20 or more years ago provide cheap electricity now. Investments in nuclear power are truly long-term infrastructure investments that will pay off over a long time. I and other pro-nuclear environmentalists find ourselves in an interesting conundrum. Many of my fellow liberal environmental activists are opposed to nuclear power, while many conservatives who are staunch deniers of global warming are supportive…Suppose we liberal environmentalists are wrong about global warming being caused by human influences. Would it really be such a bad thing if we actually reduced emissions of carbon dioxide?…And to environmentalists, is nuclear power really as bad as coal? Choices must be made, and every choice entails some risk. If you continue to oppose nuclear power, coal will still be providing most of the world’s electricity 50 years from now. The choice is up to us. Maybe we’ll see Fox at a future CNA Conference. In the meantime, buy his book; like nuclear technology, it’s a long term asset that’s worth every penny. And we’ll be very excited to hear from James Hansen on Thursday. Before climate change topped the environmental agenda, environmentalists often stood on opposite sides of the nuclear debate. Even today, many big-name environmental groups, such as Greenpeace and the Sierra Club, remain opposed to nuclear power. However, a growing number of prominent environmentalists and scientists have converted to the pro-nuclear camp, including those who had vehemently opposed nuclear power. The reason is simple: Climate change is the top issue, and countries cannot meet both their energy needs and greenhouse-gas reduction targets using renewable energy sources alone. Look no further than Germany and Japan to see countries that closed nuclear power plants only to see a rise in their use of coal and gas. Lynas admits that he “grew up hating nuclear,” but converted to the pro-nuclear side after discovering the dangers had been exaggerated. 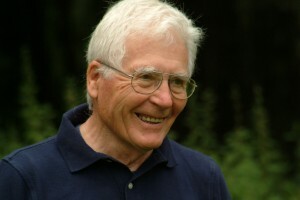 Another prominent pro-nuclear environmentalist is James Lovelock, the British scientist best known for the “Gaia hypothesis,” which proposes that the Earth functions as a self-regulating system, similar to a living organism. “I think nearly all of the arguments against nuclear energy are just false and highly political,” Lovelock recently told the Globe and Mail. Perhaps the most prominent pro-nuclear environmentalist is James Hansen, the former head of NASA’s Goddard Institute for Space Studies, who has been credited for being one of first to warn politicians and policy makers about the dangers of climate change. 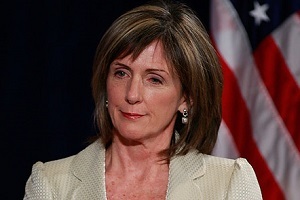 Other prominent pro-nuclear environmentalists include Patrick Moore, co-founder of Greenpeace; author Gwyneth Cravens; and Carol Browner, former director of the White House Office of Energy and Climate Change Policy. Cravens, Lynas, writer Stewart Brand, and writer Michael Schellenberger were among the notable environmentalists once opposed to nuclear who were featured in the 2013 documentary Pandora’s Promise. The film focused on the environmental movement’s opposition to nuclear, even though it is a safe, low-carbon energy source needed to combat climate change.